Number of Sisters: 5 – Sisters Marykate Ani; Cecilia Anukem; Esther Amowe; Clementina Emeghara and Anthonia Falope. Ilesa Community came to birth at a time when our small group of expatriates’ sisters was mourning the closure of the hospital in Iseyin in Oyo State in Sept., 1978. The new site of the convent in Ilesa was pegged out on 14th Dec., 1978 within the vast land of St. Lawrence’s Catholic High School. Srs. Yvonne Coutouy, Teresa Buckley and Kathleen O’Sullivan became pioneer sisters, who moved into the completed convent in Sept., 1980. * Hospitality to DHS for meetings and gatherings. APOSTOLATE: In response to the mission of the house, the pioneer sisters taught with diligence in the two neighbouring schools – C.A.C Babalola Memorial High School and St. Lawrence’s Catholic Grammar School for many years and with remarkable success. The sister’s work was not confined to the classroom; they also prepared the students for the sacraments and built up in them a Christian commitment. 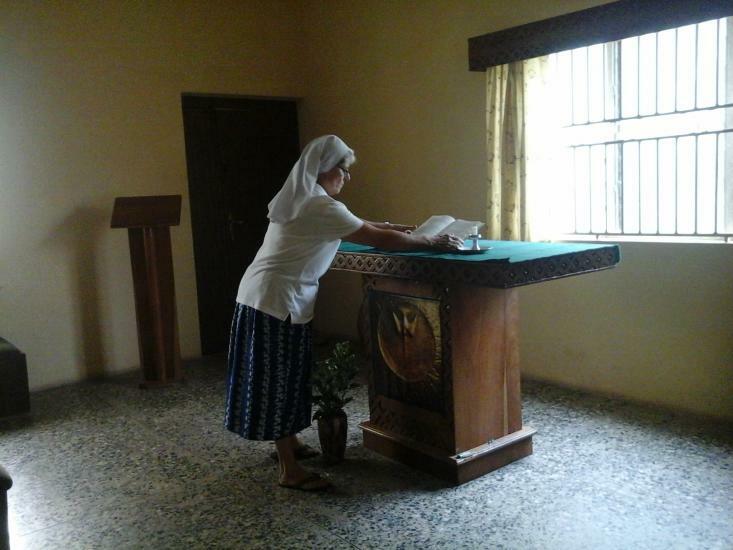 The presence of the pioneer sister’s in this community help to bring to life a once-closed down St. Lawrence’s church due to alleged fetish practice of the then church leader (Baba Ijo). Through their tireless effort in visitation, catechesis and care, old and new parishioners were brought back into the catholic faith. Many Nigerian DHS have made their first religious vows in this church. 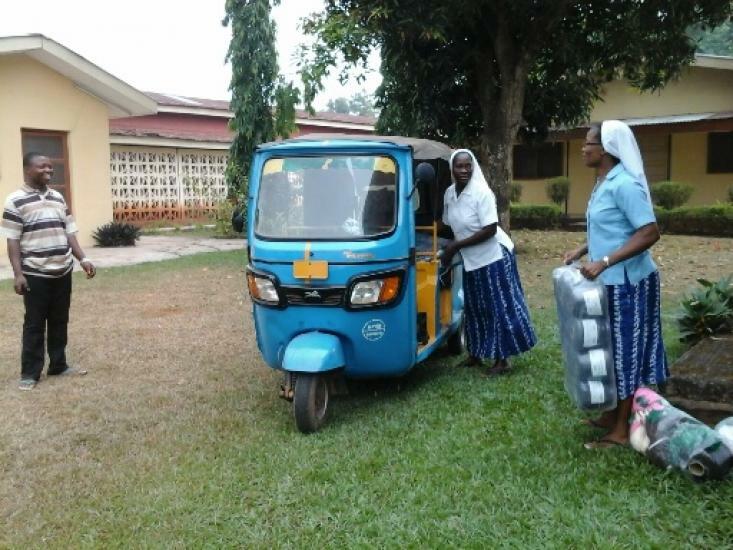 In keeping with mission of the house, the sisters reached out to the marginalized by opening a training centre called St. Stephen’s Catholic Social Centre in the Ilaje quarters of Ilesa town. The centre offered marketable skills in catering, dressmaking, knitting, hairdressing, weaving, typing and shorthand, computer literacy and animal husbandry to youth, especially young women who could not cope with formal education or found themselves with unwanted pregnancy. Eventually, physically challenged youths and students of the teachers training college in town also benefited from the services of the social centre. We share our Charism through our mission of presence to all our sisters and others-priests, religious, youth groups, associate, non-Catholics in need of rest, accompaniment, retreat, reflection and recollection, a place for meetings, workshop and assemblies. - Baking of assorted snacks, we make delicious doughnuts, sausage rolls, meat pie/fish pie for supermarkets and parties. - Baking and decoration of cakes for weddings, birthdays, profession, ordination, e.t.c. - Knitting of Cardigans for schools and colleges. We remain attentive to the poor through visitation and offering maintenance jobs to women and young people in need. community became a residence for the Vice Provincial. * 1989- First vice provincial chapter held at Ilesa. * 1998- On 21st February, community celebrated with Sr. Anthonia Falope who made her final commitment in the congregation with four other sisters at St. Mary’s Pro-Cathedral, Ilesa. * In March, some sisters in the community joined others to attend the first historical event of the Beatification of Fr. Iwene Tansi in the eastern part of the country. * In August, some Nigerian sisters from the community went with others to France for the first visit to the Sources of the Congregation from Africa. * 2000- St. Stephen Social Centre marked 10th Anniversary of inception. * In April, Community and Vice Province Marked the Golden Jubilee of Srs. Marie Bernadette Apere and Teresa Buckley. * In August 2001, Anthonia Falope was Missioned to Burkina Faso. * 2004- A second well was dug on the Compound. * 2007- Opening of Renee Burel Centre for meetings, workshops and retreats. * In July, meeting of African finally professed sisters was held in Renee Burel Centre. * In August, there was handing-over of authority to a totally Nigerian Vice Provincial team in Renee Burel. 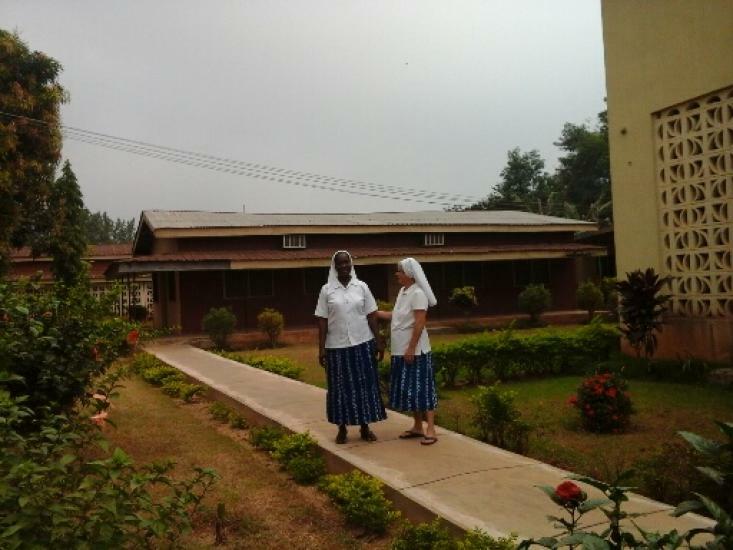 * 2008- In November, Sr. Francoise Lelievre arrived in the community for 3 Months to teach the sisters French language. * In December, First time to open Renee Burel Centre to outsiders for retreat. Thirteen SMA seminarians with their formator for retreat were in attendant. Srs. Jeannine Legere and a St. Louis sister directed the retreat. * 2009- In March. An NGO- Christian Roral Development Association also had their Ecumenical workshop in Renee Burel. In this way, the community fulfils her mission of presence to all sundry. * In July 2009, Sr. Ita Durnnin and her sisters, Mrs. Moira Smith arrived in the community from Ireland in order to visit and attend the ordination of Rev. Albert Obembe.